Cook your steak on our giant grill starting at 5:30 pm. Then listen to Sofia Johnson from 7 to 9 pm. 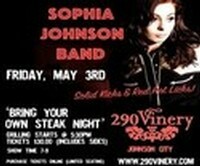 Price includes all side dishes for your steak dinner and the Sofia Johnson concert. 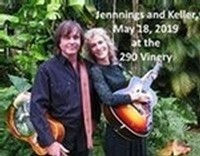 Shake Russell and Michael Hearne return to the 290 Vinery for a wonderful evening of song!